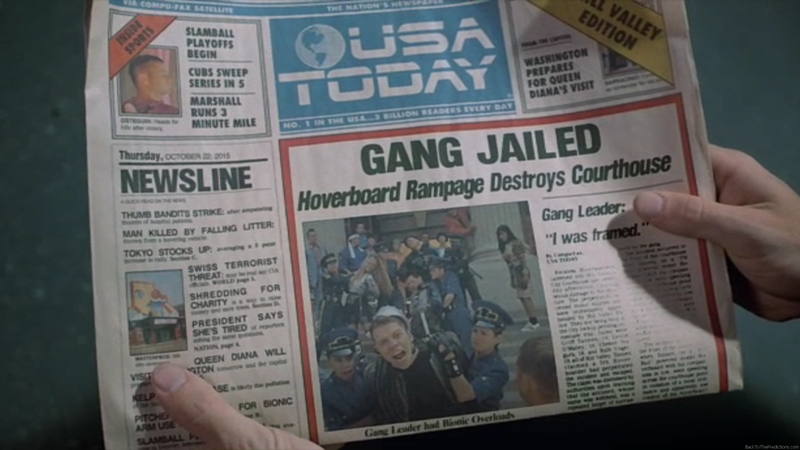 The October 22, 2015 edition of USA Today costs $6 in Hill Valley. The price is in the upper-right corner written as “6 DOLLARS”. On September 7, 2004, USA Today made their first price increase since 1985 when they went from 50 cents to 75 cents. 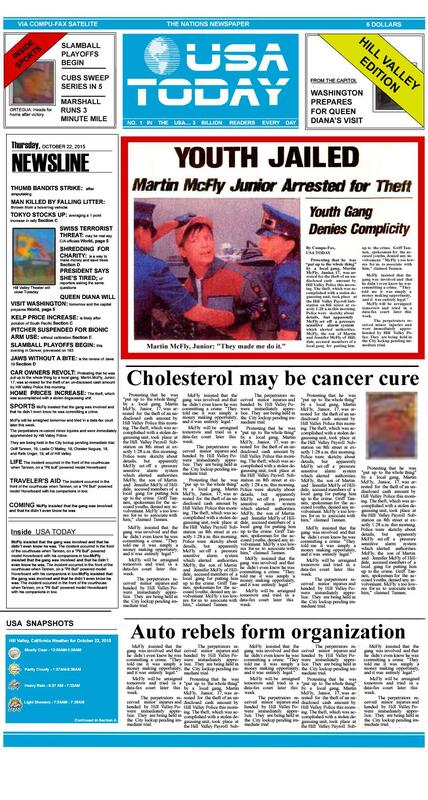 In October 2008, the price increased to a $1.00 cover price. 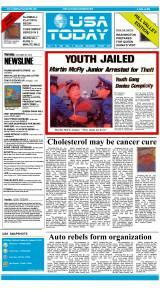 Five years later, on Monday, September 30, 2013, the newspaper doubled their cover price from $1.00 to $2.00. It’s entirely possible that sometime in the next seven months there will be a massive price increase for the daily edition of USA Today, but it seems highly unlikely that it would triple. However, a $6 newspaper is not unheard of. Several years ago, Sunday editions of The New York Times started selling for $6 outside of the New York metropolitan region. However, that’s currently one of the higher-priced newspapers. No weekday editions of any major US newspapers currently sell for $6 or higher.